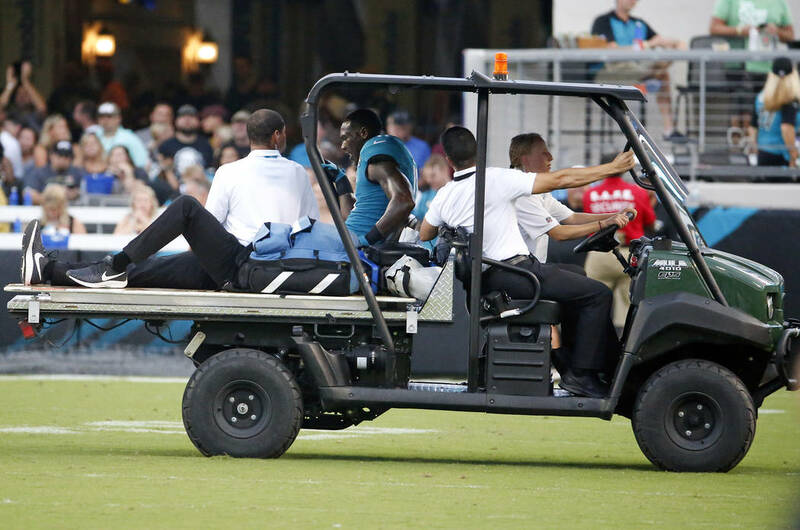 The Jacksonville Jaguars will be without their top receiver for the second straight year. Tests confirmed what everyone in the stadium expected after seeing Lee’s knee buckle: The injury was severe. It’s the second time in as many years that that’s happened to Jacksonville. The Jags lost No. 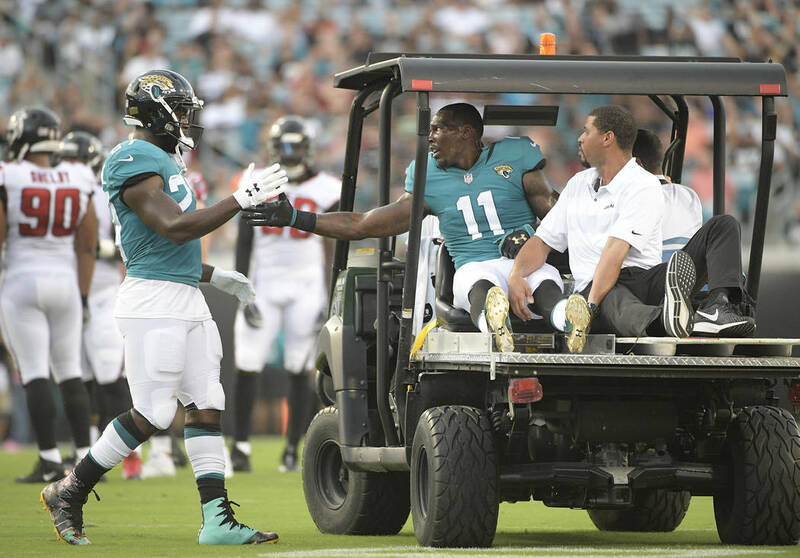 1 receiver Allen Robinson to a knee injury in last year’s regular-season opener. Robinson signed with Chicago in free agency. The Jaguars will miss him, although it’s unclear how much considering Marrone’s offensive philosophy features a smash-mouth ground attack. 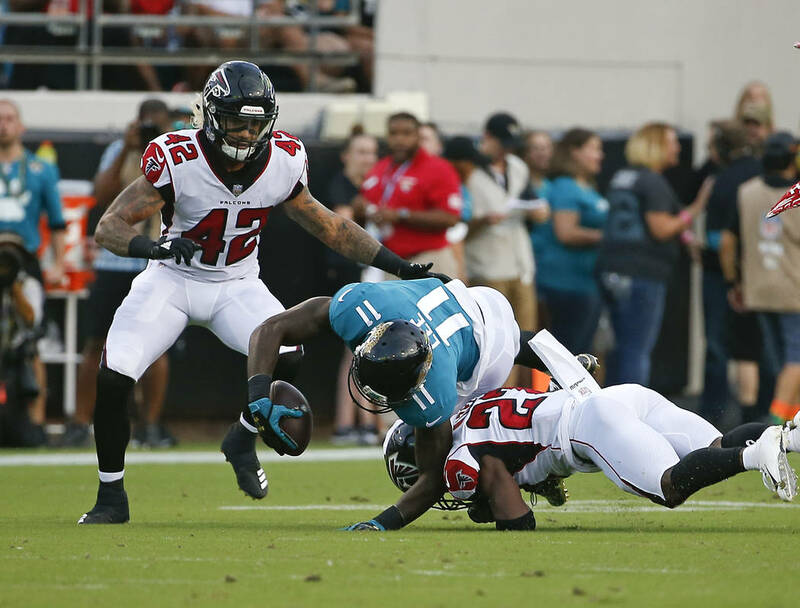 Although the helmet-lowering hit looked dirty, several Jaguars players said it’s part of the game these days.